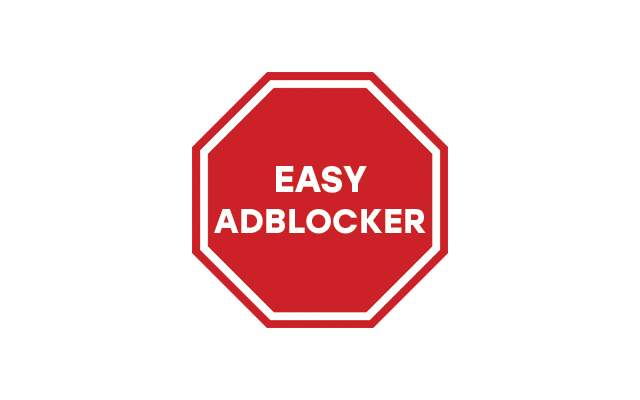 Easy Ad Blocker is a Google Chrome extension designed to block online ads. The EAB extension is 100% free to download and install. Without a doubt, such plug-ins come with a variety of benefits for the average user today. Everyone wants to get rid of ads, but few people realize that task is quite simple. Dozens of such plug-ins exist today, and this particular solution is one of the most comprehensive solutions. Extra customization options ensure users always remain in control of their browsing experience. What Do Online Ads Mean for Corporations that Buy and Sell Them? Nothing is more pervasive on the Internet than advertisements. Virtually every website features ads, and entire websites act like glorified ads on occasion. For advertising companies like Google, ads make a lot of financial sense. The most prominent search engine on the planet made over $30 billion from ads this past year. It's no surprise companies want to fill the Internet with text and video ads to keep the profits coming. Unfortunately, consumers pay the price by having to deal with ads everywhere they turn. Online ads come in every form imaginable from banners to pop-ups and even videos. Consumers have accustomed themselves to seeing and dealing with these ads. On top of that, companies keep track of user data in order to target ads at individual consumers. It doesn't help that some ads contain crypto miners or harmful malware. Not everyone is comfortable with this situation, and plenty of users want to stop ads from appearing. Thankfully, an adblocker like Easy Ad Blocker solves this problem with ease. Currently, dozens of ad blocker solutions are available for free download and installation. This includes solutions like AdGuard, Ghostery, uBlock Origin, and AdBlock Plus. Users always want to know which adblock extension can remove ads most effectively. Perhaps the answer is Easy Ad Blocker more so than any of the previously mentioned options. Either way, Internet users continue to embrace ad blocker extensions. Most of these extensions have been downloaded millions of times apiece, and each could be deemed the best adblocker. What Features Make Easy Ad Blocker Stand Out? This particular plug-in increases a device's speed and bandwidth while fighting back against phishing attacks. In simple terms, Easy AdBlock prevents scripts and APIs from running ads on a given website or video. Users don't have to worry about seeing or accessing ads because they'll never appear in the first place. An added benefit of disabling ads involves speeding up Chrome because less resources are used. Plus, malware is harder to access because pesky ads are never run to execute the ads. Should Users Install This Plug-In And Rely Upon It? Easy Ad Blocker doesn't cost a dime to use with the Chrome browser. It's a powerful tool that eliminates ads across the Internet. In the end, users may never see another ad again due to frequent updates. A lot of less useful, less effective blocking plug-ins are available. Users shouldn't hesitate to install this particular option and give it a chance. The average person won't find themselves disappointed in the results. For the best results, users will want to utilize this Chrome extension immediately to reap its benefits.